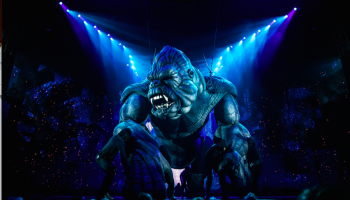 Most Broadway revivals of classical musicals featuring the original stars have been museum pieces vainly attempting to recreate the first incarnation’s magic. The resurrections of Yul Brynner in The King and I, Carol Channing in Hello, Dolly! and Angela Lansbury in Mame are some examples of this waxwork genre. 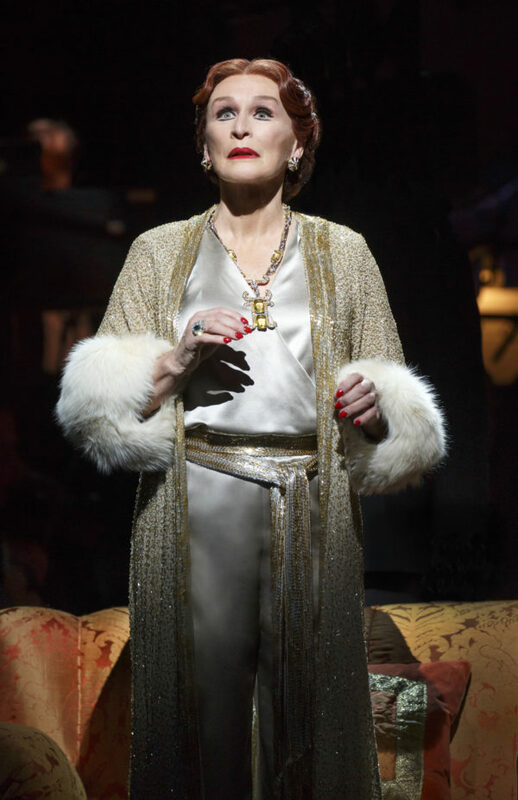 Fortunately, Glenn Close’s return to her Tony-winning role of the demented silent-film diva Norma Desmond in Sunset Boulevard two decades later does not fall into this category of delusional retreads—which would have been ironic since Desmond is foolishly striving to revive her faded cinema stardom. 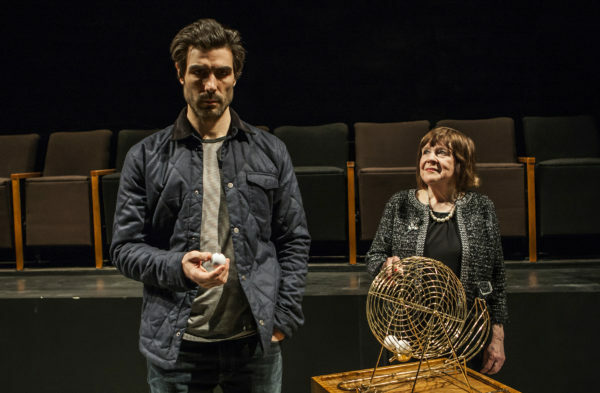 Not only has Close deepened her interpretation, but Lonny Price’s new staging, imported from London, is an imaginative stripped-down retake of Trevor Nunn’s gargantuan 1994 edition. Andrew Lloyd Webber’s synthetic score and the simplistic book and lyrics by Don Black and Christopher Hampton still fail to approach the noir nightmare vision of Hollywood created in Billy Wilder’s legendary 1950 film. But with Price’s more intimate staging, Close’s magnificent performance is even more striking. She is no longer competing with a massive set. Designer James Noone has placed a spooky soundstage around the onstage orchestra with grainy projections of vintage film premieres adding to the ghostly atmosphere. Perhaps inspired by Sondheim’s Follies, Price has added a ghost of Norma’s younger self to haunt this tragic tale. Close also takes a cue from Follies and goes deeper into Norma’s dementia, both psychologically and vocally. She actually sounds like an aging star whose singing range has diminished, often going into a falsetto. At once a narcissistic monster and a frightened child, Close’s creation is so much more than an above-the-marquee turn; it’s a shattering portrait of dashed fame, endless ego, and voracious lust. Like a boa constrictor, she grips her victim, the young writer Joe Gillis, and never lets go. She’s also totally convincing when Norma makes her claim that “With One Look” she can manufacture any emotion. While Close is the engine that drives this vehicle, Michael Xavier as Joe actually has more stage time. He displays an impressive voice and physique and knows when to take center stage and when to give the spotlight to the star. Fred Johanson makes for a frightening Max, Norma’s looming butler keeping up his employer’s fantasies. (Though he does resemble Ted Cassidy as Lurch on The Addams Family a bit too closely.) His magnificent bass gives an eerie tone to “The Greatest Star of All.” An able chorus gives dimension to multiple supporting roles with Nancy Anderson and Katie Ladner particularly vivid as struggling cinema workers. Obie-wining playwright Branden Jacobs-Jenkins (An Octoroon, Inappropriate, Gloria) also revitalizes some old material—some really OLD material. His Everybody, now at the Signature Theatre Center, takes the 15th century allegorical play, Everyman and transforms it into an intense meditation on modern mortality and morality. In the original, the titular symbolic figure is summoned by God’s messenger, Death, to give an accounting of his life to his creator. He is allowed to bring a companion along the journey from which there is no returning. Characters representing Friendship, Family, and Possessions all turn him down. Only Love will make the trek as all earthly connections disappear. Jacobs-Jenkins gives this relic a modern twist and adds the somewhat gimmicky element of having five of the roles assigned at random at every performance. This could have come across as a shallow parlor trick, but director Lila Neugebauer and her sharp company endow these abstract concepts with weighty detail, as does the playwright, making an intellectual exercise into a visceral experience. The grandmotherly Marylouise Burke is a delightfully unexpected Death, Jocelyn Bioh miraculously transforms from a friendly usher to the ominous voice of God, and Chris Perfetti is a compassionate Love. Brooke Bloom, Michael Braun, Louis Cancelmi, David Patrick Kelly, and Lakisha Michelle May take up the remaining roles. At the performance attended Cancelmi made a moving Everybody, Bloom was a sassy Friendship, and Kelly was a riot as Stuff, Everybody’s material possessions. 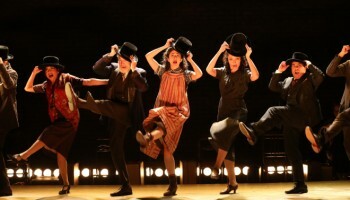 Both productions show that even dusty plays and musicals can have new life if the right cast and director get to work. Sunset Boulevard: Feb. 9—June 25. Palace Theatre, 1564 Broadway, NYC. Wed, Sat, 2 and 8pm; Thu 7pm; Fri, 8pm; Sun, 3pm. Running time: two hours and 30 mins. including intermission. $65—$199. (877) 250-2929. www.ticketmaster.com. Everybody: Feb. 21—March 19. Pershing Square Signature Center, 480 W. 42nd St., NYC. Tue—Fri, 7:30pm; Sat, 8pm; Wed, Sat, Sun, 2 pm. Running time: 100 minutes with no intermission. $30—$40. (212) 244-7529. www.signaturetheatre.org.